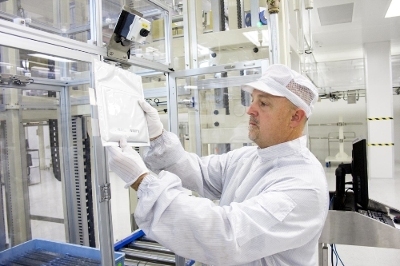 LG Chem’s lithium-ion battery manufacturing plant in Holland, Michigan has been producing batteries for automotive for almost two years. The company recently announced to accelerate the battery production by doubling their workforce to at least 300 people. It will also establish closer partnership with General Motors across multiple GM motors. North America is one of the fast-growing li-ion battery markets partially due to the nation’s stronger and stronger demand to electric vehicles (EVs). “We are very excited to be a part of the high quality, affordable electric vehicles,” said Nick Kassanos, president of LG Chem Michigan (LGCMI). Battery cells manufactured by the LG Chem Michgan plant are supplied for leading EVs such as the 2016 Chevrolet Volt (Gen 2). LG Chem has already shipped more than 23 million cells for the Chevy Volt since the Michigan plant began manufacturing li-ion batteries in November 2013. The partnership with Chevy Volt proved LG Chem’s performance and cell technology -- early Volt owners are still enjoying exceptional battery range performance. Based on a GM study of more than 300 model year 2011 and 2012 Volts in service in California for more than 30 months, many owners are exceeding the EPA-rated label of 35 miles of EV range per full charge. About 15% of the owners studied surpassed 40 miles of range. "What we have seen in terms of quality from LG Chem is comparative to pharmaceutical levels of performance," said Bill Wallace, Director of Global Battery Systems for GM. "Of the more than 23 million cells that have been produced for the first-generation Chevrolet Volt, we have seen less than two problems per million cells produced." LG Chem is expanding its services and is aiming to produce products for energy storage systems as well as other automotive customers, stated the company in a recent announcement.